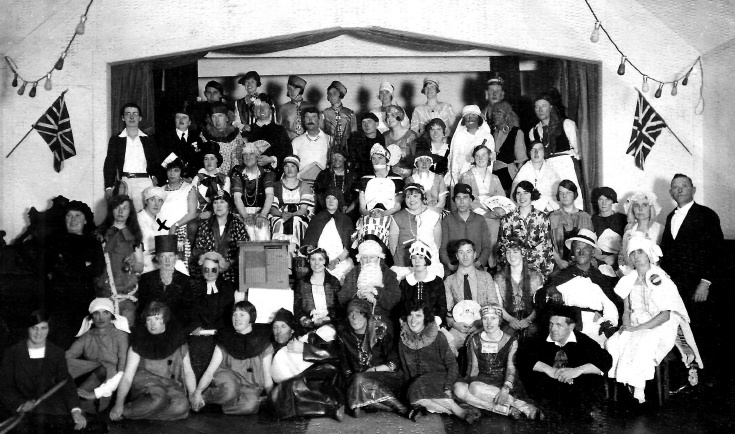 In about 1935 a fancy dress party was held in Handcross but no further details are supplied. With the Union Flags on display, I am wondering in this was a celebration to mark the Silver Jubilee of King George V and Queen Mary in May 1935. Just left of centre, behind someone dressed as a garden shed or outside WC, a lady appears to be wearing a Union Flag dress. My uncle, William "Will" Doggett Jnr, is on the left wearing a top hat and beard. He went as Doctor Doggett.